Canvas Townhomes, apartments near GVSU, is getting a major facelift in 2019! We're upgrading some townhomes from top to bottom to include new vinyl plank flooring, new appliances, new quartz countertops, new modern kitchen cabinetry, new designer furniture packages, a 50'' TV in the common area, and so much more! These upgraded townhomes will feel brand new! Not only do our new upgraded townhomes get all these brand new features but you'll still get the most spacious living area in Allendale and one of the best prices in town! If newly upgraded townhomes weren't enough, we've got you covered on the amenities you crave!  Whether you're looking to hit the gym, shoot some hoops, stay tan all year round, or enjoy some privacy in your own large private bedroom, Canvas Townhomes has you covered. Check out all our amenities below!